How automation impacts both the customer experience and the employee experience are far more meaningful metrics. When it comes to introducing the very latest technologies – the likes of chatbots, machine learning and Artificial Intelligence (AI) – some contact centres lag behind. Considering the plethora of information that is available on these new solutions, this is hardly surprising. The choice is overwhelming and, as a result, it’s often easier for contact centres to stick with what they’ve got. This inactivity was illustrated in the recent ‘The Inner Circle Guide to AI, Chatbots & Machine Learning’ report, released by Contact Babel in February 2019. It found that only 13 per cent of UK-based contact centres already have an AI based solution in place. Yet there are signs that things may soon change, with 36 per cent of respondents stating they definitely intend to implement AI or machine learning tools in the year to come. 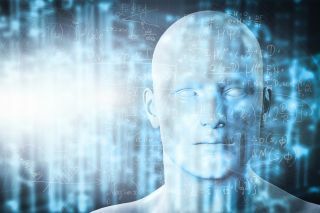 For contact centres, the decision about whether to go down this AI route is typically based on the predicted ROI of deploying these new solutions. Questions such as ‘how many more customers can we serve per hour? and ‘what cost savings can we achieve?’ are commonplace, especially in these times when many operators struggle to keep up with increased customer demand across multiple channels. However, ROI alone is not the greatest measure of success. How automation impacts both the customer experience (CX) and the employee experience (EX) are far more meaningful metrics. The ongoing problem of high agent turnover rates in contact centres, something which disrupts many aspects of a contact centre workflow, can be boiled down to one main driver: stress. Dealing with frustrated customers, a lack of employee engagement and job satisfaction, in addition to navigating complex, outdated and disconnected technology platforms, places huge demands on agents, and consequently impacts the quality of customer service they provide. The agent can’t give the customer their undivided attention if they are struggling to navigate a clunky system where answers to even the customer’s most simple questions are impossible to find. By equipping staff with software robots that can manage simple queries, connect systems and complete common tasks, agents will have a significant burden lifted from their workload, leaving the best and brightest to focus on delivering the highest quality support to the customer in a stress-free work environment. Introducing robotics and automation can seem daunting – there’s the cost to consider, the cultural impact it will have on both employees and customers, how the technology will integrate with existing framework – but the beneficial effects it will have on EX and CX go a long way to easing the transition. The transformative effects of robotics are much more immediate than other optimisation technology, with contact centres seeing an instant improvement in EX (and therefore CX), a reduction in churn, as well as growth in upsell and cross-sell rates. The best place to start when looking for technology to introduce to a contact centre is by engaging with employees to find out which systems and interactions cause them stress – often a result of repetitive, simple jobs they have to perform with outdated technology – and by identifying which customer interactions no longer need to be completed by a human agent. These are often the more mundane tasks and requests which, although they have simple responses, are the most common and frequent, something that can easily be tasked to a robot. By removing the stressful factors of clunky technology and mundane tasks, employees have more freedom to realise their full potential and ensure every call counts. In a world of ever-evolving technology, today’s customers not only want instant answers, they also expect high-quality and consistent service regardless of the channel they are using to communicate with a brand. It’s a constant challenge for contact centres to keep pace with these constantly changing technological expectations and match the efficiency and ease of the other technology that customers use on a daily basis. AI and robotics have a key role to play here. Complicated and intricate metrics – such as how many customers were able to find information, how successful the AI is at matching customer queries, the improved customer satisfaction rate through easy and accurate self-service – will soon be commonplace, helping operators to truly understand the impact automation has on CX. AI tools also bring valuable insight into what customers are looking for. By providing a continuous stream of analytics on customer requests, they can spot new trends that may not have previously even been considered. Knowing why a customer is calling is an essential tool in allowing contact centres to make informed improvements to their CX. Instead of agents having to wade through the customer’s history to guess why they have decided to pick up the phone – often seeing that customers have had to look at several web pages in search of answers -, AI provides valuable insight by analysing these previous interactions with the website or even with chatbots. When sentiment analysis tools are embedded in speech recognition technology, it is even possible to detect a customer’s mood in advance of them speaking to an agent. When agents have this information to hand, they are able to provide customers with more succinct and informed answers based on the context of their browsing, all in real time, without having to spend the first part of the call asking basic questions. If they are pre-warned that a customer is disgruntled or annoyed, they can have alternative solutions or offers at the ready which will best suit the customer’s needs. On the flipside, if the sentiment analysis tools detect strong buying signals, this might be the agent’s cue to try to up- or cross-sell other services. These factors not only improve overall CX but also improve the general brand reputation of the contact centre, as customers trust that they can get a swift and pertinent response to their queries. Introducing AI into the contact centre doesn’t mean existing technology needs to be replaced. Websites, payment systems and customer management systems, right up to the latest and greatest chatbots and Robotic Process Automation (RPA) tools, should all be empowered by AI, and, even more importantly, intuitively know when to refer customers to agents. A good AI tool will also work alongside humans. It should have an interface that is simple enough to use, with the ability to gather knowledge from business stakeholders and apply this information in order to help customers. Consider the consequences of removing the most mundane of tasks from an agent’s to-do list. Any remaining queries that haven’t been resolved by AI, will present the perfect opportunity to invest more time in providing truly personalised service to the customer. More time and money will be free to develop and train agents to deal with the most important and complex customer calls. The bar for customer service will be raised and agents will see that they have something to strive for. If technology frees up agents to perform more rewarding tasks, and they feel that the company has invested in them, they are more likely to deliver higher quality and more consistent customer service. Deciding to invest in AI based solely on predicted ROI calculations oversimplifies the importance that happy employees play in the contact centre. Happy agents equal happy customers, which in turn reduces churn rates, boosts referral rates, promotes a stronger brand and often leads to higher revenues and a more buoyant share price. Creating a balanced scorecard that shows efficient work, engaged employees and satisfied customers are just as relevant as ROI is the true metric of successful AI implementation.